Oh,my God!! !Nokia 6230i is the best,and of course Nokia rulezZzz!! !I have Nokia 6230 but 6230i is better! 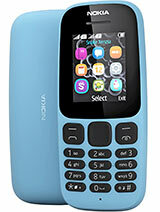 !Is the best phone i`ve ever seen! i cant believe people are picking faults with this phone..the previous 6320 was a great phone packed with features, and the 6320i updates it. lets be honest ,there isnt much they could do to improve the 6320 anyway. all people moaning about the screen, having read the specifications,the screen might not be the BIGGEST,but it is one of the sharpest resolution screens on the market ! to all the people picking fault i say GET A LIFE ! Eli....you think that the 6230's menu in slow? Dude...you are on this planet??? there is something wrong with sample pics on this site! main icons are not 3d, as they are on nokias site!!! Does anyone know if the Nokia 6230i supports Assigned ringtones. Caller Groups is boring. Assigned ringtones are great. I sure hope this phone supports assigned ring tones. Compared to the previous 6230 this should be a winner,however i am most upset that Nokia have not gone for 256 colour in its screen as this is the way forward and no zoom function has been mentioned in the specs. Cant wait to find out the cost and when it will be in shops. Anyone from Belgium or Europe ? I just wanna know that 6230i is already released in Belgium market. Cuz I'm going to get it from Belgium directly tru my fren. :) I'm living in Malaysia. Waiting the phone out in the market will take some time. Kinda slow compare with other country. Pls let me know the price (original) over there and informed me ASAP. Thx. The idea of a sound is to inform the user of a certain avtivity.One can put the ring tone in off position if he likes for any reason.Having the sound OPTION when connected,which could be of great help,say in auto redial mode is not silly. i considered the 6230 a great phone and now witc the "i" comming up i`m gonna go crazy after it. a good hp that any one should own one. but the screen sould have been larger. when the phone wiil in the mly market? what is the phone price. 6230 software was a piece of junk, this coming from a Nokia lover, bad mmc management, very slow interface, totally dreadful. This device, if it can actually recognize the MMC as a seperate HD and you can actually load stuff into it directly, without any transfer limitations besides the MMC size, it will be worth a look. If not they better leave out the MMC until they have a good way to integrate it into Series40 platform. If the same problems persist, the shameful e-mail client, the lackluster menu, the full throttle annoyance 5way navigator will surely divert people to Series60. BTW most of the people who post here look at specs, the MegaPixel and mp3 player and comment on a phone that has not been out yet. What are you 12? The ideea for a beep when you log into the network is silly. That's why i love Nokia...no stupid sounds while useing the phone. hey i'm nutz about it too now...it's the first nokia had all i want!juz bought 6260 tat has quite a number of functions but too big in size ....regrettted buying it but now since 6230i is comin, i'll sell 6260 !!!! Can anybody tell me how the performance is measured and rated while the device is not out yet? can t wait till it comes out, great phone with all the featurs needed, and the cool headset coming out soon after, will be a great combo. Only issue I don t know, how good is the picture quality going to be. Good enough to print? Saw the se K750 pics and they look amazing. Any links for pics taken with the 6230i? I just sold my 6230 so that I can get the 6230i. I cant wait for it to be released.